Olympus Pacific Minerals Inc. is producing and exporting gold from its Bong Mieu Gold Plant located in central Vietnam approximately 100 km from the port city of Da Nang. The company will continue to develop its core properties, Bong Mieu and the high-grade Phuoc Son Gold Property. Both properties are presently producing and have established NI 43-101 resources. Olympus' primary focus is to generate internal cash flow from increased gold production through its processing facility at Bong Mieu. These production goals will be achieved by toll treating high-grade Phuoc Son ore, improving our gold recovery and lowering productions costs. Proceeds from these efforts will be used for the further development of the Bong Mieu and Phuoc Son Gold Properties. 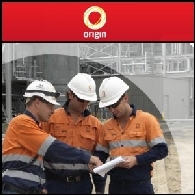 Le rapport du marché australien en date du 23 février 2011 inclut les titres suivants: Origin Energy Limited (ASX:ORG) a annoncé avoir reçu l’approbation du gouvernement pour un projet de joint venture ciblant la production de gaz naturel liquéfié dans le Queensland; ZYL Limited (ASX:ZYL) a signé un protocole d’entente (MoU) non contraignant pour le soutirage du charbon sur le projet Kangwane ; Olympus Pacific Minerals Inc. (ASX:OYM) (TSE:OYM) signe un accord de raffinage avec une compagnie vietnamienne; Aviva Corporation Limited (ASX:AVA) a annoncé la découverte d’interecpts de sulfure très importants sur le prospect d’exploitation de métal de base Bumbo dans l’ouest du Kenya.